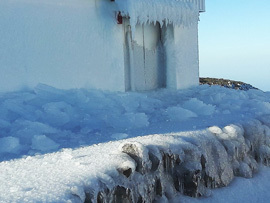 The icy conditions that began in late January, affecting all telescopes at the Observatorio del Roque de Los Muchachos (ORM), are finally (!) 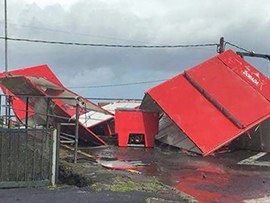 clearing after temperatures rose further, and rain and high winds began battering the island this week. 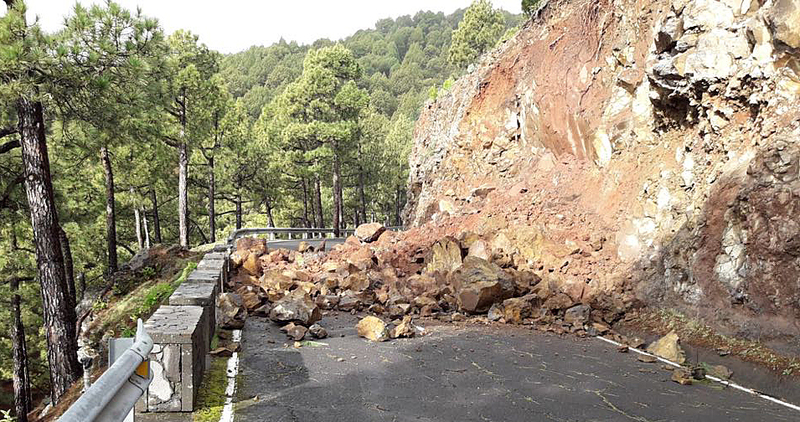 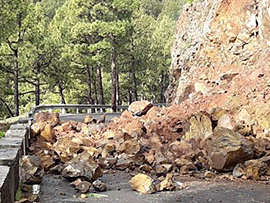 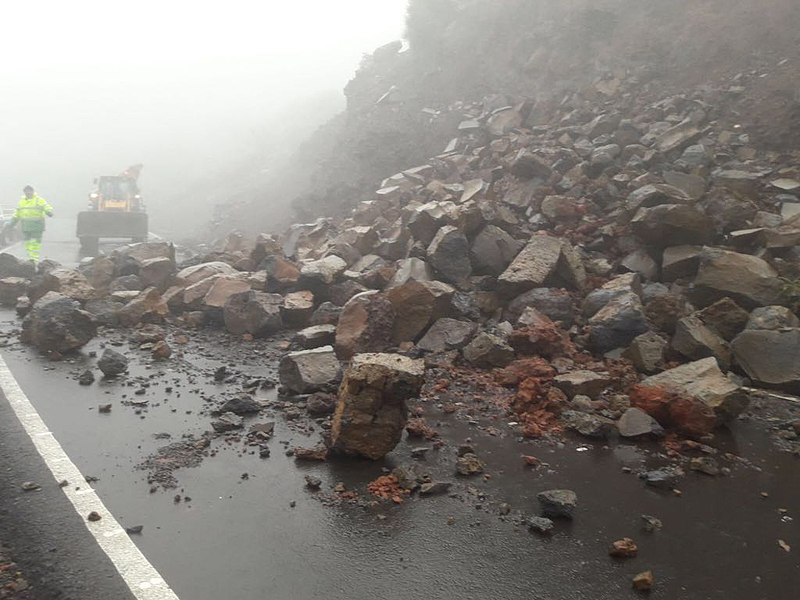 Unsurprisingly these new conditions brought their own problems, causing wind damage at sea level and bringing down trees and rockfalls on the access roads to the mountaintop. 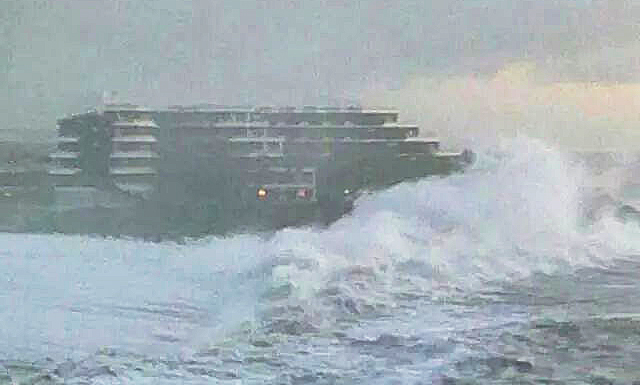 As such, our engineering and maintenance support contractor Dirk Raback was only able to reach site this morning to check on the LT. 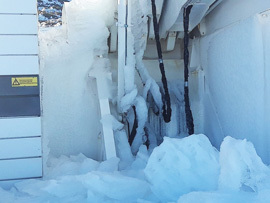 The enclosure mechanisms are almost free of ice, but critical enclosure opening/closing tests must be performed before the facility can be considered free to observe once more. 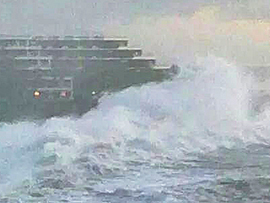 These tests cannot be made today due to high winds and driving rain, so they will be done on Monday 5th March; the forecast looks better for then. 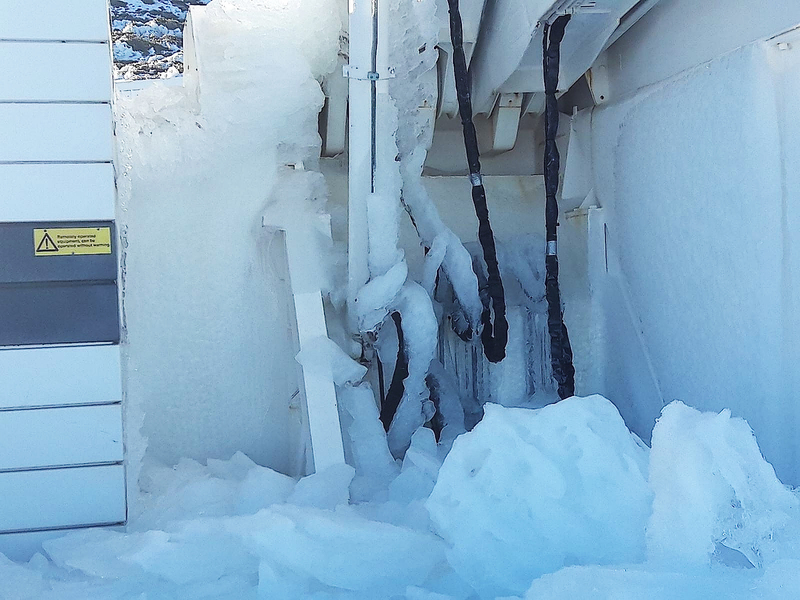 The images on this page were taken by Dirk when he was first able to get to site on Monday 12th February, two weeks after the first snowfall. 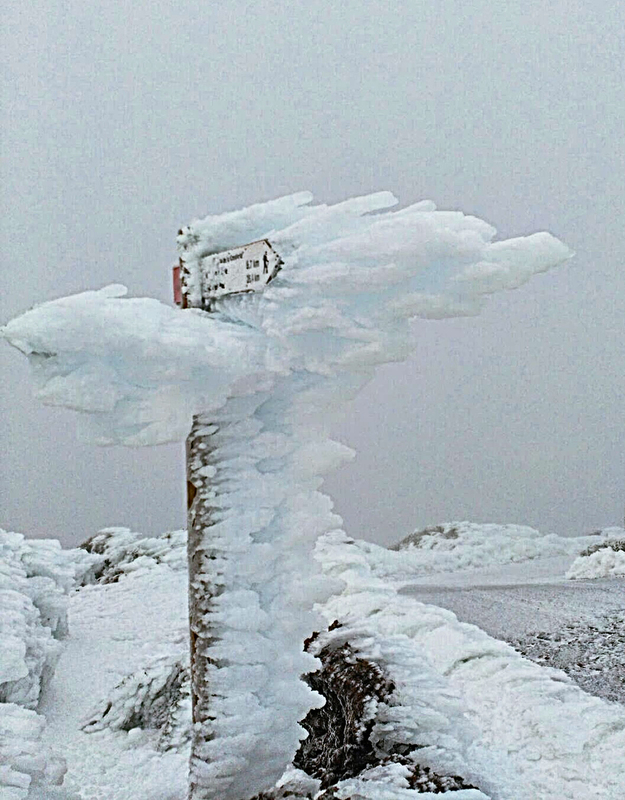 They show some of the ice that caused us problems and some of the damage caused by this week's storm. 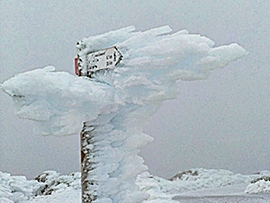 The latest images are shown here, but see our Flickr "Telescope and Site" album for all of Dirk's recent ice and storm images.